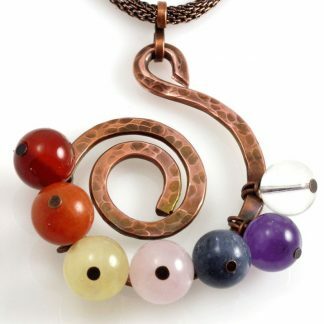 This unique Fire Agate Kundalini Pendant resonates with the Muladhara (root) and Svadhisthana (sacral) Chakras. 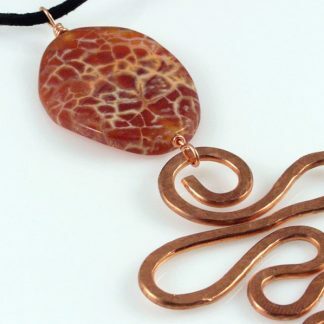 It has been hand crafted with hammered thick Copper wire and a big oval Fire Agate bead. The Fire Agate Kundalini Pendant has a total length of 4-1/2 inches. 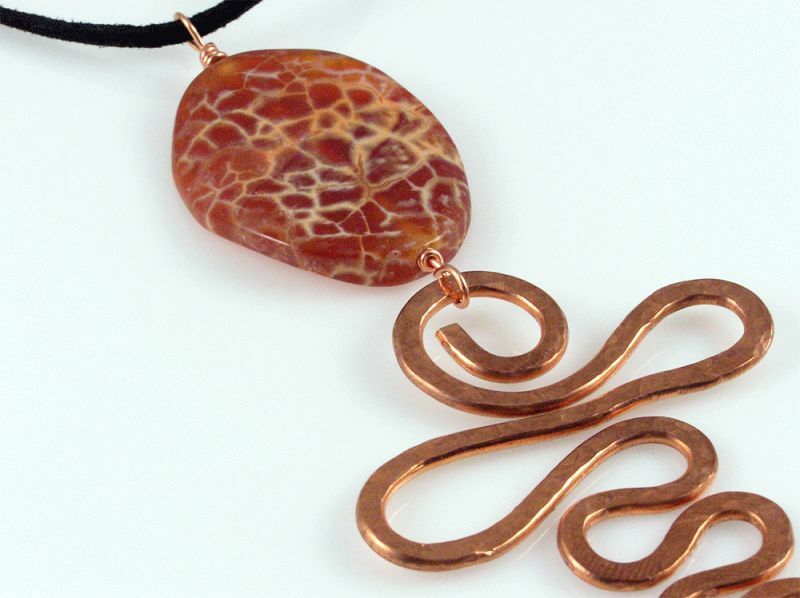 The Copper snake measures 2-1/2 x 2-1/4 inches, and the Fire Agate bead measures 1-1/4 x 1-1/2 inches. Like all Agates, Fire Agate has a deep connection to the earth and calming and grounding effects on the body. It also has protective functions, building a protective shield around your body against other peoples ill will. As its name suggests, it has a strong fire element, thus its connection to the sexual organs and the root chakra. It also promotes great overall vitality and enhances introspection and meditation. 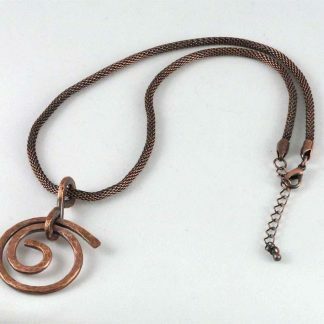 The Copper wire adds an element of fluidity and overall energy, as copper is such a great conductor of heat and energy.